The 0-2-2 wheel arrangement was only briefly used in the early days of steam. The best example of this wheel arrangement is Stephenson's Rocket of 1829. 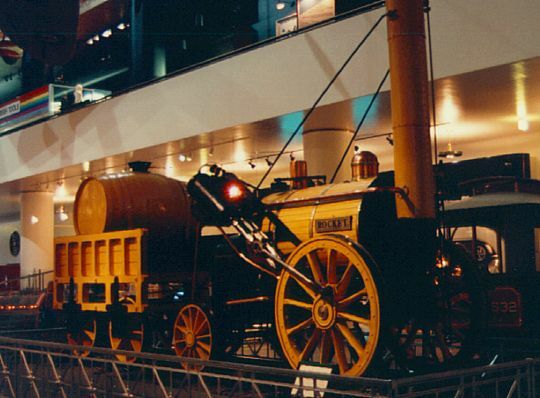 The original Rocket is preserved (in modified form) at the London Science Museum. There are several surviving replicas of this locomotive in the USA. Rocket 0-2-2 4'-8½" Henry Ford Museum, Dearborn, MI display Robert Stephenson, 1929 Replica built by original builder of the Rocket which is in London.